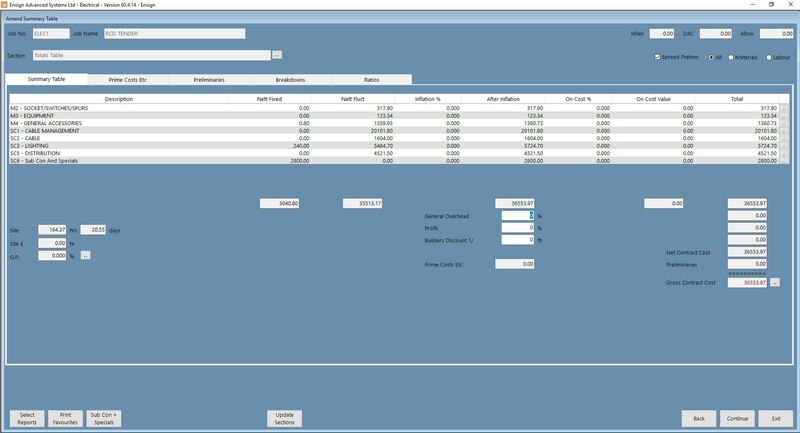 If you’re looking to save time (and, therefore, money) when pricing up a job, look no further than Ensign’s simple and intuitive electrical estimating software. Designed specifically for modern electrical contractors, our software will have your estimate done, dusted and submitted before the competition find their scale rule! We love to make things easy at Ensign, and our estimating software has over 150,000 electrical components ready and waiting in the database so you can price up any containment, cable, general wiring accessories and distribution quickly and easily. No more have to rush and guess what your estimate should be. This advanced software is slick, updated weekly with the latest prices and labour times, and you’ll find your estimates quick to produce and delivered with pinpoint accuracy. Click ‘Our Partners’ to check out some of our partners that work with us to make our electrical database so cutting-edge and all-inclusive. 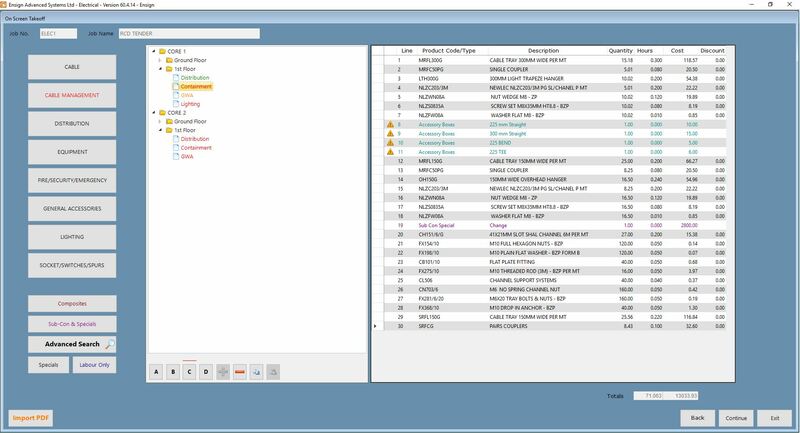 Perfect for small to medium sized companies, adding any information you need is child’s play, with easy input of components, specials, subcontract and kits, and preparation of your full quantified schedules of rates. Get to grips with your true costs on each job by exploring our wide range of reports, which are fully exportable to CSV, Word, PDF, Excel and other software. Find out what your labour costs were and how much your materials cost, and look at site labour time to help you arrange your workforce more efficiently, giving you the full picture so you can easily save time and money – and increase profits!